Someone I was speaking to recently said something to me that made my blood boil. I couldn’t believe I was hearing it. The humble business card is a mainstay of traditional business etiquette. Often the very first thing that is given to prospects, new connections or networking colleagues. A small item that is incredibly personal to the person handing out, a token gesture for acceptance of call, email or further contact. In handing out a card, you are giving permission for someone to remain in touch with you, you’re allowing them to keep your information on file and stay in your life. The more you think about it, the more personal and important your card becomes. If I receive a card from someone, that card is kept in a draw at my desk. I have loads that I’ve been given over the years, all from people that are willing for me to connect with them at a later date. Some cards I keep in a special pile within that desk draw for a particular reason. That reason is, that I really like the card. I look at the card and its obvious that this person has thought about their first impression and they’ve made their business card memorable in some way. 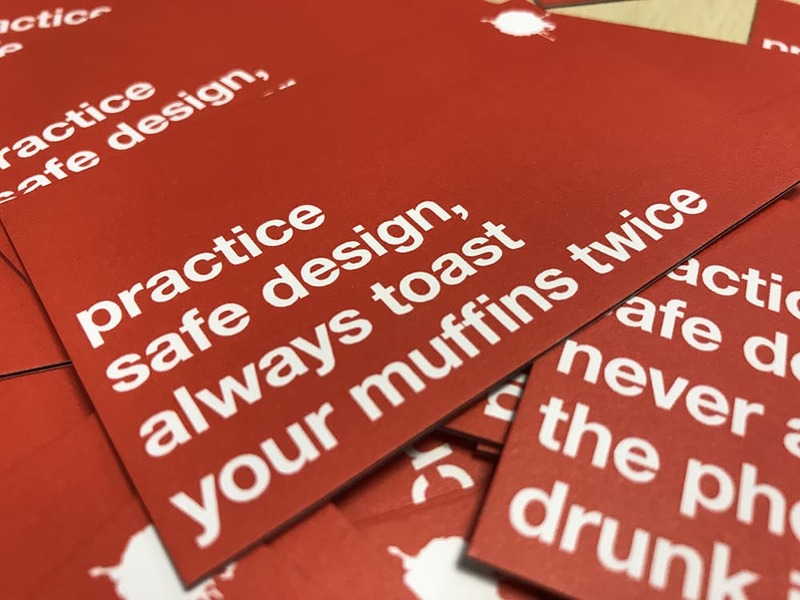 Be that a really striking design, some high quality production values or a carefully considered message that prompts a reaction, or call to action. And this is why my own cards are designed they way they are. I didn’t want somebody to receive two cards of mine that were the same. I wanted the message to be clear, clever and slightly different on each one. 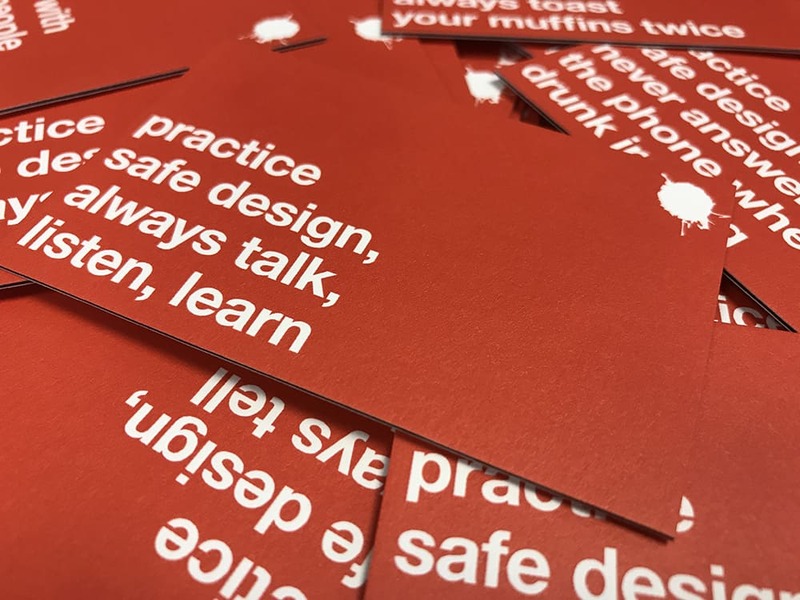 I wanted people to strike up conversations about my business cards because they had maybe picked on up from me and found someone else that had one that was slightly different. 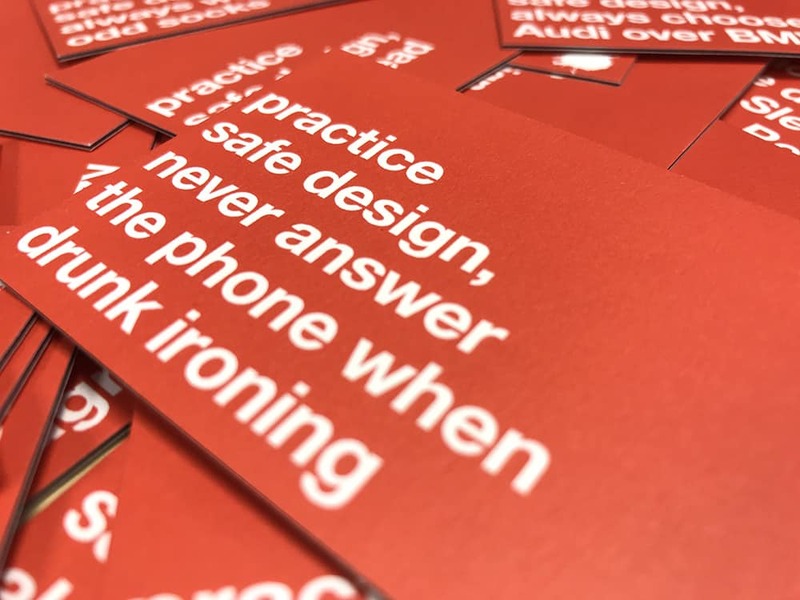 We have a new slogan that has become part of our messaging since our rebrand in early 2018. 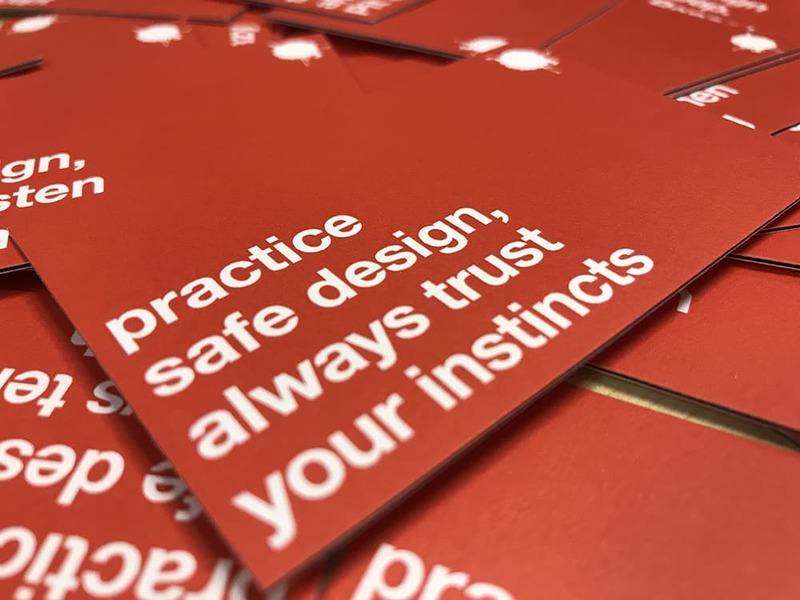 This slogan was something I was keen to expand and develop on for ongoing marketing purposes, and when my business cards ran low I had the perfect opportunity to action my ideas for the slogan. I came up with over 50 different variants of the slogan and designed my cards to have a different variant on each. The messages range from the sublime to the ridiculous, the relevant to the totally bizarre and every single one has a little bit of me in it! 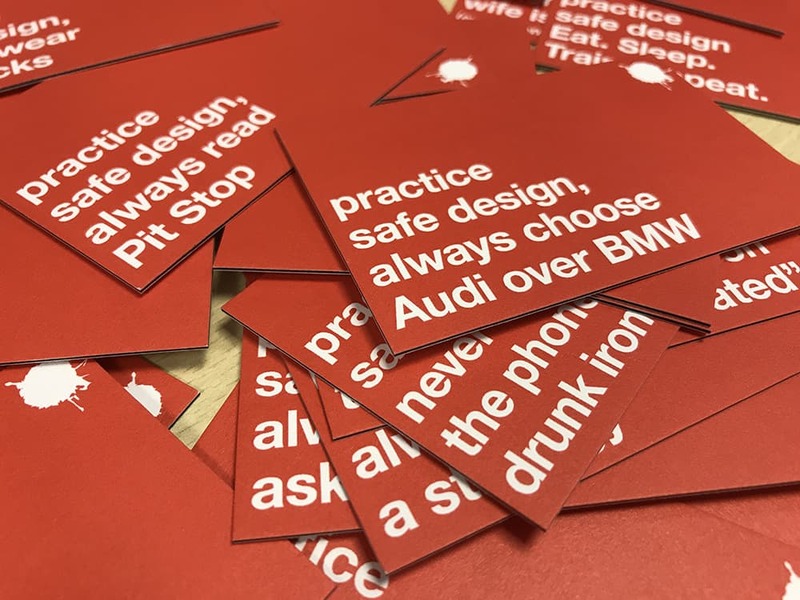 My humour, my ideas, my vision and my passion for Design Pit and great graphic design are all packaged neatly within each unique business card message. This clever message was one thing but I wanted my cards to really stand out in a crowd. So I looked carefully at the production value. I was prepared to pay more to get a better finish to the normal type of card people tend to have. The cost was almost irrelevant really as I was totally focussed on the impact quality cards would have. I decided to use Moo.com to print the cards, they use a Duplex printing process where several sheets of paper are bonded together to form a super thick card. They use a Mohawk Superfine White Uncoated stock with a coloured sleeve sheet to give the cards a real luxury finish. They look incredible, feel awesome and carry a really clever message.